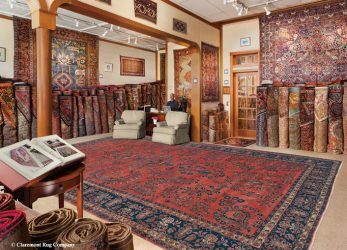 Founded in 1980, Claremont Rug Company offers a gracious four showroom complex for comfortable viewing of older Oriental rugs in a vast array of types and age groups. 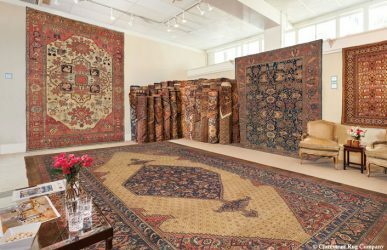 Our main store complex contains our world-class inventory of exclusively art-level Persian carpets and tribal rugs, circa 1800-1910, while our Claremont 2 gallery offers a rich array of 20th Century decorative Persian and tribal rugs for spectacular home decoration. 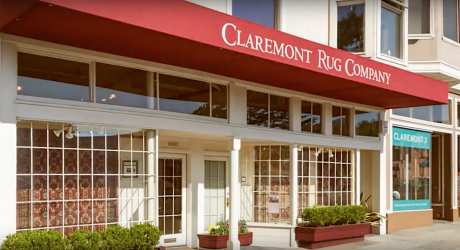 Headed by our company founder and president, Jan David Winitz, our carpet consultants have up to 38 years of experience working at Claremont. They are uniquely qualified to orient you and assist you to identify the particular decorative or collectible rugs that are ideal for your interests and needs. We offer a unique home presentation service for larger projects anywhere in the USA for room-size, oversize or collectible rugs. Enjoy the salon experience in your own home, as one of our senior carpet consultants and support staff show you numerous pre-selected rugs for your decor. This allows you to compare sizes, color balances, and different styles that help you to determine the very best choice for each space. Our website is replete with a multitude of online resources for expanding your knowledge of art-level antique rugs. Visit Our Digital Gallery to see our vast collection where you can shop online, create Wish Lists of rugs, request photos and rugs to be sent on approval, schedule a home presentation or contact us to make individual shopping arrangements. 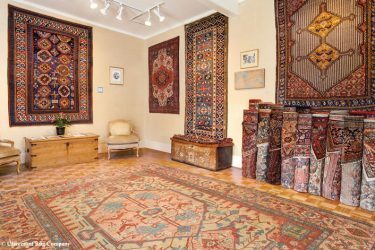 We also have an extensive online Antique Oriental Rug Educational Section that discusses Collecting and Connoisseurship and much more. We have now reopened our boutique gallery in the beautiful storefront adjoining our main Claremont Rug Company gallery at 6093 Claremont Ave. in the upscale Rockridge District of Oakland, CA, 15-minute drive from downtown San Francisco. View a rich collection of decorative Oriental carpets woven in the late 19th century to the 1950s in this new, expanded space featuring a gracious contemporary decor with Peruvian walnut walls and American Maple floors. 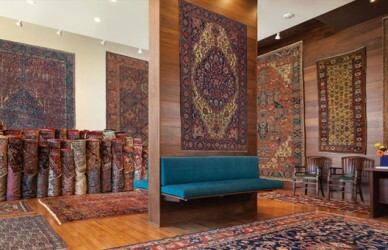 The Claremont 2 staff looks forward to introducing a new generation of San Francisco Bay Area families to the great pleasure of living with one-of-a-kind Persian and tribal rugs, while continuing to service a national clientele through this online gallery and convenient shipping on approval.